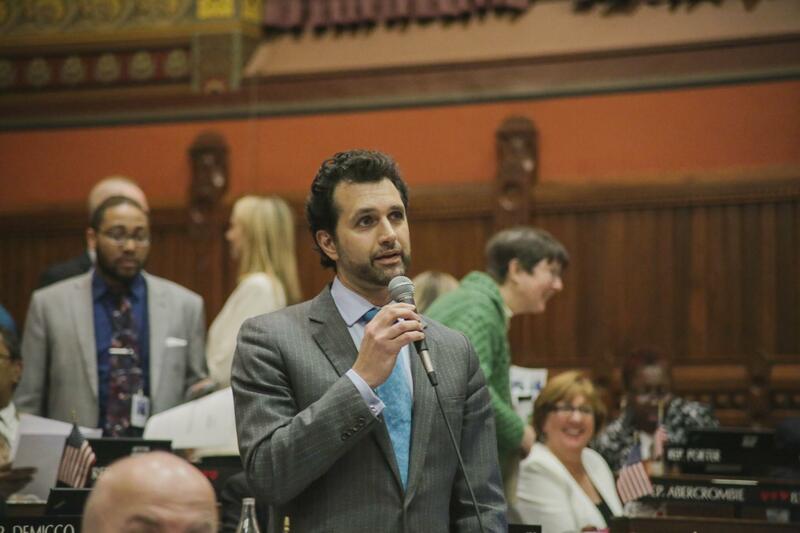 State Representative Mike D’Agostino (D-Hamden), re-elected to the Connecticut House of Representatives in November, was sworn on the convening of the 2017 General Assembly session to again represent the 91st Assembly District of Hamden. Rep. D’Agostino will be serving his third term. Rep. D’Agostino is now the senior leader of Hamden’s legislative delegation following the retirement of former House Speaker Brendan Sharkey.